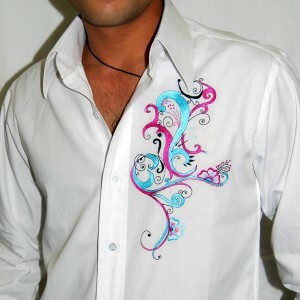 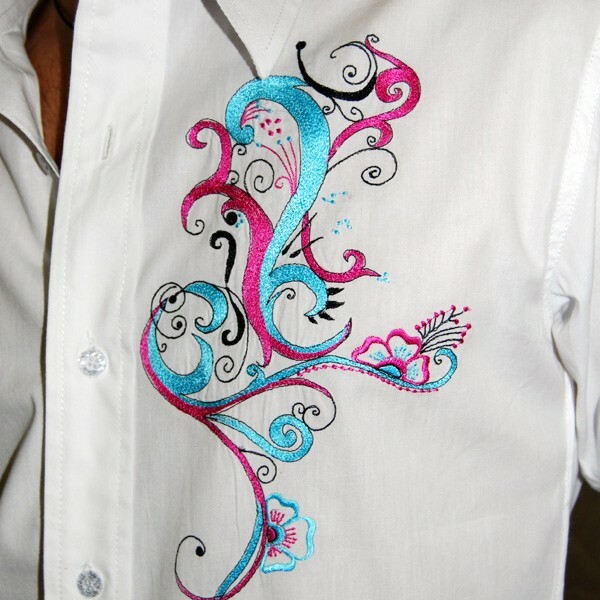 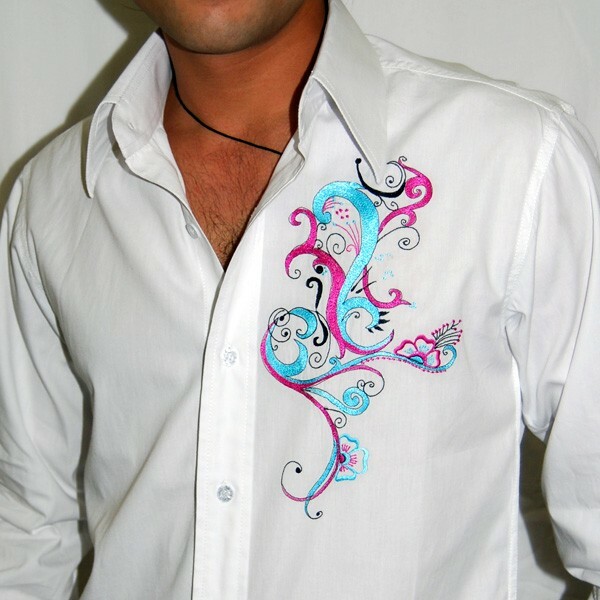 Sparkly shiny pink, blue, and black threaded embroidery on plain white 100% cotton crispy shirt. 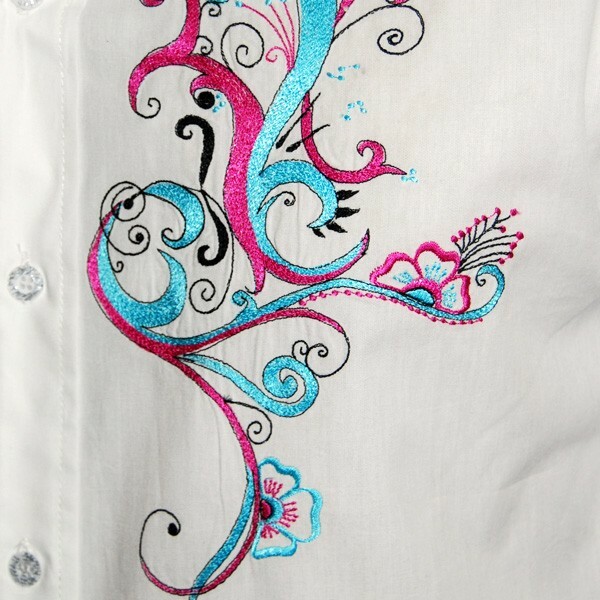 Sparkly shiny pink, blue, and black threaded embroidery on plain white 100% cotton crispy shirt. 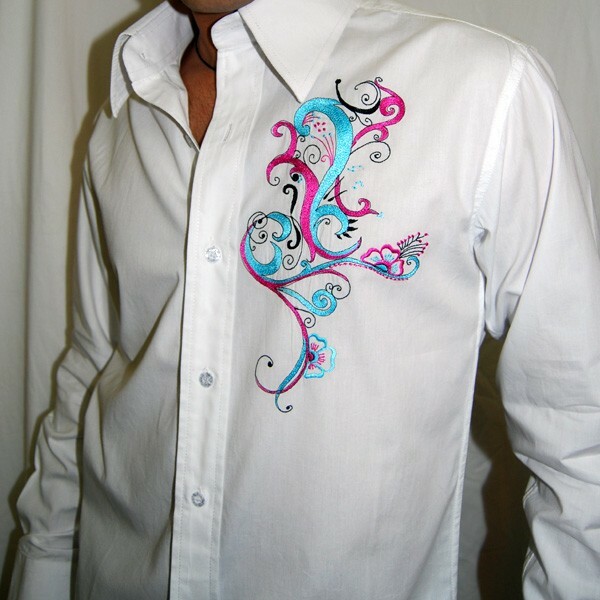 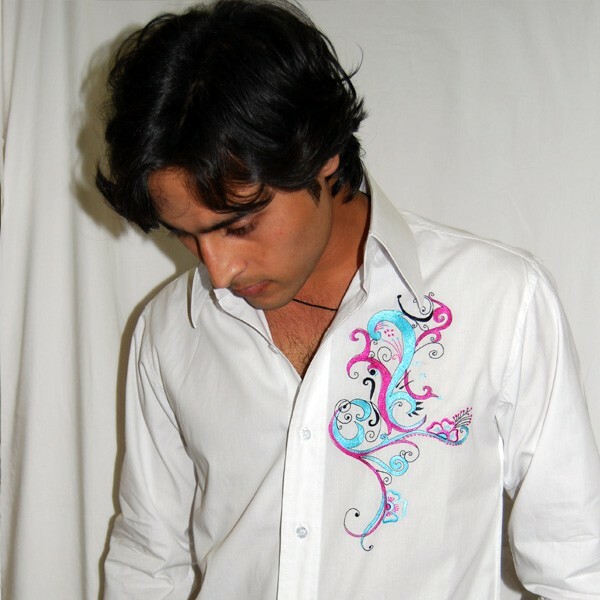 Artistically designed curves compliments the pattern on front left panel of the shirt. 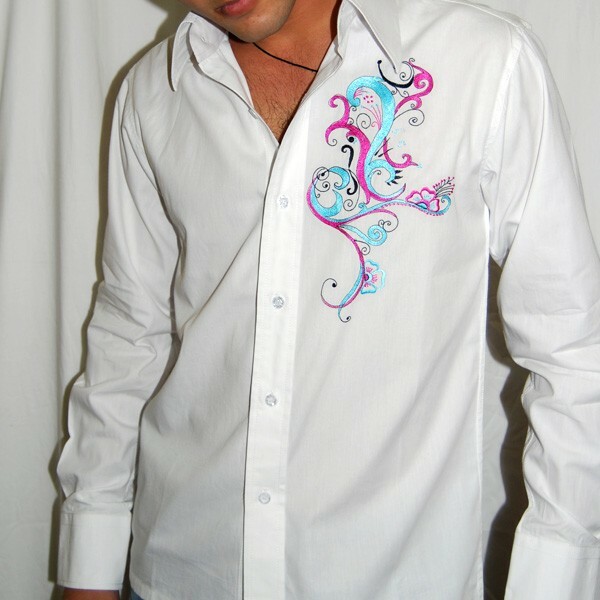 The shirt is perfect cocktail wear with black or royal blue two piece suit.